You were injured on the job, filed a workers’ compensation claim, and expected to be compensated within days. After all, workers’ compensation is guaranteed, right? Wrong. Though most work-related injuries are eligible for workers’ compensation (when the employer has workers’ comp), certain factors may affect eligibility. At Barbas, Nuñez, Sanders, Butler & Hovsepian, we help injured parties understand their rights when it comes to compensation for their injuries. If those rights have been violated, our Tampa workers’ compensation lawyers do everything in their power to uphold them. If your workers’ compensation claim was denied, it is helpful to first understand why and work from there. 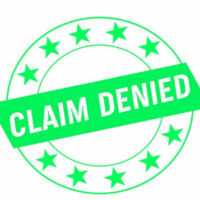 Your Workers’ Compensation Claim Was Denied Because…. You refused to sign medical authorizations or to give the insurance company a recorded statement. Florida law dictates that work-related injuries must be reported within 30 days. Not only that, but there must be an official medical report identifying the cause of the injury and confirming that the injury did indeed arise during the course of employment. That said, it is not a good idea to wait the full 30 days to report an injury. The longer you wait to report an injury, the more likely that your case will be treated without much regard. Workers’ compensation insurers assume that if you wait a long time to report an injury, you were not really that hurt to begin with. If you want your case to be treated seriously, file as soon as the injury is realized (which is often directly after the incident). Though you cannot help when and where you were injured at work, if there was no one around to witness the incident, and if there are no photographs or video recordings of the incident, you will have a hard time proving your case. The best thing you can do in such an incidence is to report your accident immediately to coworkers and supervisors. Give the exact same report to each person, otherwise you risk coming off as a liar. If your medical report shows that you had illegal drugs or alcohol in your system at the time of the accident, your claim will likely be dismissed. Workers’ compensation insurers like consistency. If you tell your employee that your accident happened one way, but you describe an entirely different event to your doctor, your claim will likely be denied. Moreover, if you say that your injury occurred at work seven days ago, but your doctor discovers that the injury is weeks old, you may have a problem. If you file your claim after being fired or laid off, the insurer is likely to assume that the claim is nothing more than an act of revenge. If you discover your injury post-employment, or even if you do not get around to filing your claim until after you have been laid off, there is not much you can do about it except be honest and consistent with your reports. However, if possible, file your claim before you get to the point of unemployment. “Standard procedures” include giving statements to the insurance company and signing medical authorizations. Though you have every right to refuse to do either of these things—and though it may be in your best interest to refuse to do either of these things—the insurer may use your refusal as an excuse to delay benefits or deny them entirely. If your workers’ compensation claim was denied for any reason, reach out to Barbas, Nuñez, Sanders, Butler & Hovsepian right away. 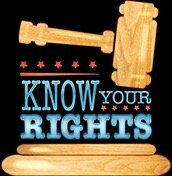 Our Tampa lawyers can help you appeal the denial and fight for your rights to compensation. Call our office today to get started.